Chicago Agent is Chicagoland’s leading brand of news and information for Realtors on the business of residential real estate trends, practices and personal financial planning. Chicago Agent platforms include the a bi-weekly magazine and robust Web site, as well as electronically distributed market information; e-blasts; events and conferences; blogs and more. Our core audience is composed of top-level real estate executives, brokers, and agents with all levels of experience, along with developers and mortgage professionals. Chicago Agent is distributed to thousands of Realtors, along with mortgage professionals and builders/developers. Chicago Agent is the only magazine that serves the entire residential real estate industry in Chicagoland. It is a multi-channel source, using print and online delivery to bring actionable information to the real estate community. 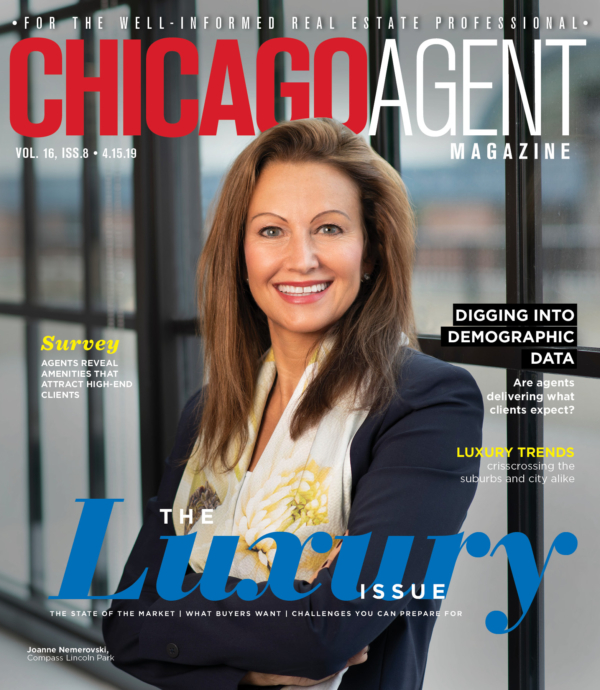 Chicago Agent is the definitive source of industry trends and news, informing readers of the best practices of their peers as well as reliable advice from the experts. We offer advertisers a multifaceted, highly efficient opportunity for business development in a rich environment of editorial excellence. To read more about our advertising terms, click here. Premium display advertising units are indicated with * include color processing. All other display advertising units are in black and white. Add $360 per insertion for 4-color processing. Add $780 for color spreads. Designed to keep Realtors informed of industry updates, eBlasts are great for announcing incentives, grand openings and special events. The eBlasts are a perfect tool to keep your listing or community in the mind of the agents. eBlasts are sent out Tuesday through Sunday and target Realtors with ready buyers. A multichannel feature – including a full page in Chicago Agent magazine – that showcases a new development, with full-color photos and information on its special amenities, affordability or luxury features, community impact and more. For advertising inquiries, please contact Anne Hartnett at anne@chicagoagentmagazine.com or 773.296.6025.